Rachel Taylor / The Collegian Riders from various teams, including a member of Team Redline Challenge (center), competing Sunday for the chance to gain points and win a Redline Cup plate. Throughout the competition, riders’ ages ranged anywhere from age 3 to 55. Riders from various teams, including a member of Team Redline Challenge (center), competing Sunday for the chance to gain points and win a Redline Cup plate. Throughout the competition, riders’ ages ranged anywhere from age 3 to 55. “He’s got the horsepower to beat this thing all the way back home!” a commentator yelled over the loud speaker as a posse of bikers exploded out of the gate and zoomed around the berm of a dusty track. The race was on. BMX, or bicycle motocross, rolled into Fresno this weekend for USA BMX’s Redline Cup Finals West – Pro Series, held Oct. 4 through 6 in Woodward Park in Fresno. In BMX, points matter, and so does the glory that comes with winning events. In the Redline Cup Finals for the West Coast, Adams said riders were competing to win the Redline Cup “plates;” numbered plates that attach to a rider’s handlebars that are the equivalent of a trophy. To be eligible for a plate, Adams said riders must have competed in two of the 70 Redline qualifier races around the United States. He said the riders’ best two qualifying scores would then be added to their best scores from Saturday and Sunday’s regional competition. Adams said the system, however complicated, gives underdogs a “hypothetical” chance of winning, but said the riders who win at regionals, are the riders who win plates. “The people that are gonna win the plates here [at the Redline Cup Finals] have won, or are at the top of their game,” Adams said. After winning his first heat on Saturday, Fields said his focus was on making it to the finals. As of Sunday, Fields stood third in the AA Pro division. Fields crashed in his final and placed fourth in Saturday’s race, but before the final, he said he would be “stoked” to take home a plate. Acknowledging that riders train for first place, Fields said there are also other reasons to race. 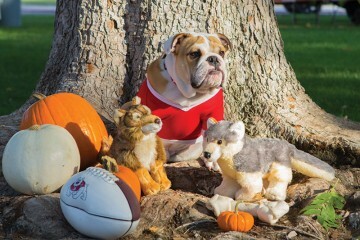 “It’s my passion,” Fields said. “It’s what I’ve done since I was a little kid. Fields wasn’t the only one putting his passions into action this weekend. 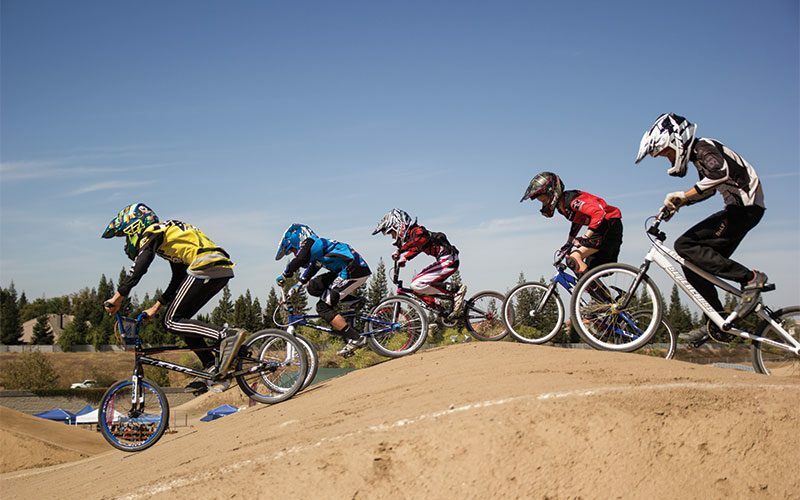 Rick Castro, a BMX track owner and operator from Salinas, brought his son and a couple of young riders to compete and to see Fields and other pros, including 2013 BMX World Champion Sam Willoughby, ride. Coming up on 10 years with the sport, Castro said his track sees bikers from all walks, or rides, of life. “A lot of riders start riding at usually about 4, but we have riders up to 60 years old that race on a weekly basis,” Castro said. He said it’s also common to see a lot of families in the sport. With Castro was 9-year-old Aidan, a small, suntanned boy with a mess of brown hair and a big smile. Aidan’s own report was that he had been racing since the age of 4. Officially, Castro said the boy has been racing for three to four months. “He just started racing, and this is his first big race that he’s come to,” Castro said. Clearly excited, Aidan had climbed to the top of a fence overlooking the start hill where the pros were just about to race. Wearing a blue and black bodysuit that identified him as a rider, when Aidan was asked if he liked to race because it was crazy and gave him a good rush, he said, “Yup” that’s exactly what he likes about BMX. “I just like riding,” he said. Something Adams said is a valid reason to ride. “It’s gonna be different for everybody,” Adams said. “For some of them, the points are what they’re chasing; they’re trying to get the most points to win their regional, to win their district, or whatever the case may be. Walking up to the track, people of all ages could be seen sitting under tents, chatting, drinking soda and tinkering with their bikes. Adams said the atmosphere is what makes BMX a “very family oriented” sport. “In many cases, you have brothers and sisters racing,” Adams said. “You have moms and dads racing, and if they’re not racing, they’re part of the pit crew or part of the team helping out. Because of this, Adams said it’s not uncommon to see children as young as 3 years old kicking along on the track. USA BMX even has a bracket for them; the “strider” classification is for kids ages 3 to 5. Mara Fehd was selling shirts and hats near the USA BMX semitrailer outside of the track on Saturday afternoon. Fehd is no stranger to BMX. She said this is her 37th year in the sport. Like Adams, Fehd said the sport is all about family. “You can come here and bring your whole family,” Fehd said. “It’s really wonderful. For more information on USA BMX and to view the results of the Redline Cup Finals West – Pro Series, patrons can visit USA BMX’s website at www.usabmx.com. 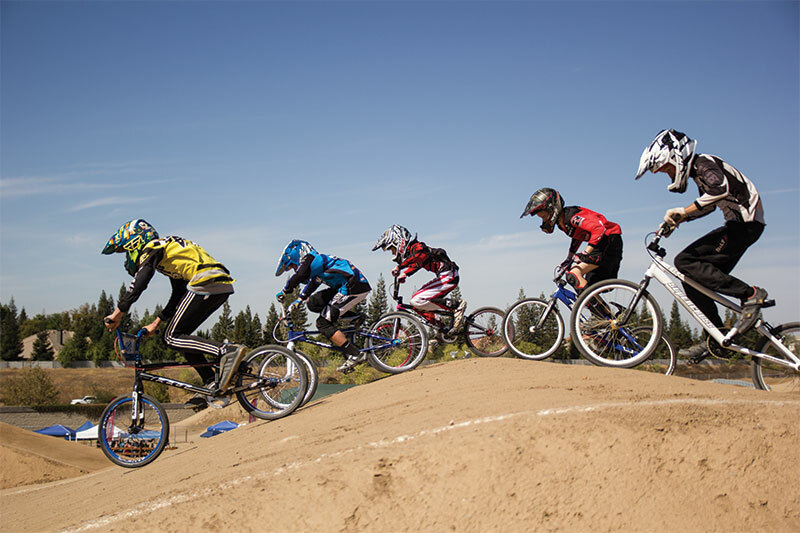 To find out about local races happening at the Woodward Park track, Adams recommends calling Fresno BMX Racing at 621-PLAY (7529).